Happy Friday! I'm super excited for the weekend. Time for some relaxing! It pains me to accept that fall is on the way (y'all know how I love summer) but the truth is...October is right around the corner. Seriously, where did the summer go? The only thing exciting about a new season is new fashion. 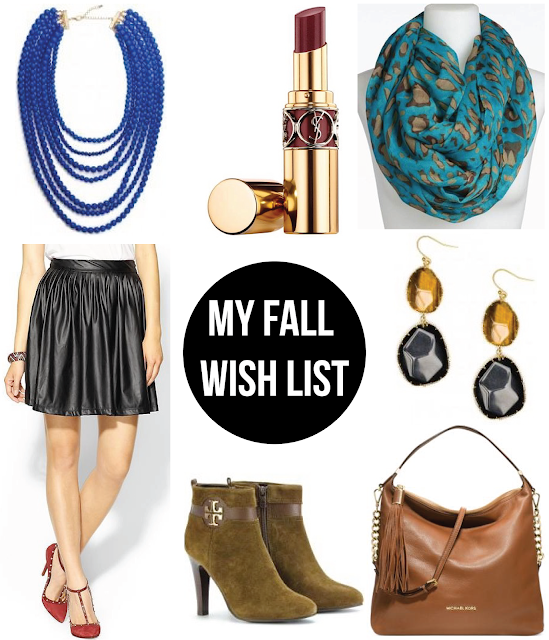 Today's Fashion Friday is all about my fall wish list. Any favorites here? Are we crushing on similar items? Have a fantastic weekend, friends. I look forward to seeing you back here next week! I actually saw a similar skirt at Target this week and thought about trying it on.